Few people can claim to be as influential in the science fiction community as Charlie Jane Anders. As the founding editor of one of the most popular SF websites on the internet, io9, she has been a persuasive voice in shaping how pop culture has been disseminated and interpreted across the world. Not only has she been an active critic, but her ethos has served as both mission statement and guiding principle of io9 since the site was founded in 2008. She has produced some award-winning short fiction in the last few years, but All the Birds in the Sky is her first novel. Perhaps it’s inevitable that her book would be met with more excitement and scrutiny than the average debut novel. We’ve been reading Anders’s articles for years, celebrating and commiserating by her side as the genre – and its community of fans – reached new heights and sank to new lows. And now it’s time to see if Anders can make that daunting leap from critic to novelist. So it’s a delight to report the following: All the Birds in the Sky far surpassed my expectations. Not only is it a tight story, one that draws heavily from both science fiction and fantasy without being mired under the weight of its tropes, but it is foremost a character-driven piece. Debut novels are rarely this good. When they meet again as adults, Laurence is an engineering genius trying to save the world – and live up to his reputation – in near-future San Francisco. Meanwhile, Patricia is a graduate of Eltisley Maze, the hidden academy for the magically gifted, working hard to prove herself to her fellow magicians and secretly repair the earth’s ever growing ailments. Patricia and Laurence are wonderful portals into this world of subtle magic and zany science. They are the nerdy outsiders who struggle at high school, but find their groove later in life. And while their nascent abilities frustrate them at first – Patricia’s ability to talk to animals disappears for years at a time, and Laurence’s two-second time machine has little practical applications – they come into their own as adults, as they try to actively shape the world around them. It is Anders’s tone which is the real highlight of the novel. She writes with a sort of whimsical absurdism, so that even as she describes the Earth slowly succumbing to catastrophic climate change, it is alleviated by moments of pure wonder. Yet it doesn’t shy away from the more profound moments. Patricia’s description of how all of nature will suffer from our poisoning of the planet highlights a strong environmental message. Even the more absurd elements of the novel, like the assassin who takes a job as a school guidance counselor, take on an unexpected poignancy. Anders has had a lot of fun with this story, weaving a simple yet hauntingly beautiful tale. As you’d expect from someone who has been editor-in-chief of io9 for the last few years, the generic conventions are thick and furious throughout the novel. It dabbles with artificial intelligence, other dimensions, talking animals, transactional magic, and a healthy dose of pop culture. Anders certainly knows her science fiction and fantasy. The novel reads like a fusion of the two genres, one that somehow defies classification simply because it transcends its collection of tropes. Yet this inability to conform to genre boundaries is its greatest strength. It never becomes tangled in its generic conventions, never strays too far from the central relationship between Patricia and Laurence. Anders has a deft touch, and her strange hybrid offers new perspectives on both genres. The story builds towards the inevitable war between magic and science, with Patricia and Laurence finding themselves on opposing sides. It is their approaches to nature that separate their ideologies: the magicians holistically seek to heal our ailing world, whereas the scientists seek to escape from it. Both sides have their extremists who are willing to destroy the entire world in their misguided efforts to save it. There’s a tragic pointlessness to the whole affair. The difference between serving nature and trying to control it is a theme that is repeated throughout the text. I can’t help but think of this as a larger commentary on the differences between fantasy and science fiction. And this is where the novel really excels – All the Birds in the Sky functions as a dialectic between the two genres, examining their seemingly incompatible representations of nature and suggesting a solution. It feels particularly relevant to our fractured modern world, as we seek sustainable ways of co-existing with nature whilst also searching for ways to manipulate the environment to suit our needs. 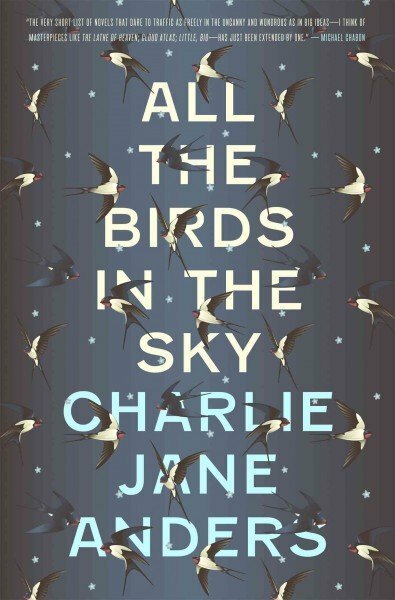 All the Birds in the Sky is more sophisticated and enjoyable than a debut novel ought to be; Anders has channeled her long experience at io9 into creating something that honours the long traditions of science fiction and fantasy at the same time as it takes the genres in a new direction. It should not be missed. 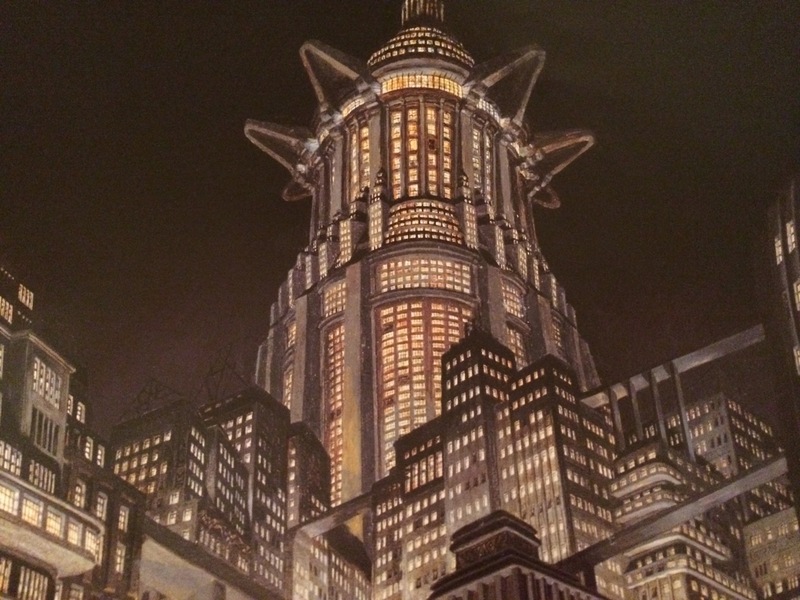 As a postscript to this post, it is worth reading Charlie Jane Anders’s final post as editor-in-chief of io9 – it is a timely reminder that science fiction can be enjoyed by everyone, defying any claims of ownership.